My Son Is Graduating High School – What’s a Good Graduation Gift? If your son is graduating high school this year you have probably been thinking about a good graduation gift. Something that’s useful, promotes growth, and is timeless. But, what to get? 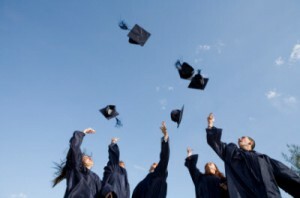 This article will provide a few ideas for high school graduation gifts. For one, think about purchasing a gift that can be used during college. After all, you do want your son going to college. Possibly a professional business organizer, a personalized pen or something of that nature. Secondly, if your son will be moving out after high school, kitchen and BBQ utensils are a good gift. They show maturity and growth as your son will be living alone and cooking for himself. In the end, we all want our kids to be independent. Thirdly, if your son is not sure what to do after high school, and will not be attending college, which is perfectly fine, I suggest purchasing a gift that relates to travel. Sometimes people need to travel and see the world so they can decide what they truly want in life. Buying your son a hiking backpack, outdoor cooking utensils, etc. will promote exploration.